Each item in your inventory requires special packaging and organization to ensure proper shipping and inventory management. Pick and pack warehousing readies products for final shipment through case breaking and repackaging. This labor intensive service includes picking multiple SKUs, packing and affixing labels and packing lists. Many of our warehousing clients specialize in pick and pack services for a variety of items to complete fast, efficient, quality shipping. Pick and pack services help to maintain inventory organization without adding labor to your system. Each item is repackaged according to your specifications and shipped as units you can directly place and sell. By pre-sorting and labeling products, your staff can display your items quickly and efficiently around your store. 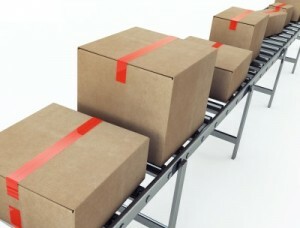 Pick and pack warehousing gives you the most efficient system for inventory management and the highest cost-efficiency. Pick and pack services are available across the U.S. and Canada from our experienced and trusted warehousing clients. Call today for more information on pick and pack services to meet the needs of your products.